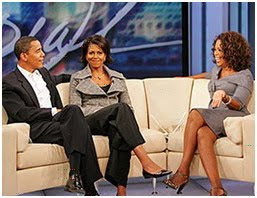 It is a bad news for 'The Oprah Winfrey Show' lovers, because this popular talk show will be ended on September 9, 2011. Although it will be stopped 2 years again, but many people are already feeling disappointed. Oprah Winfrey Show was first aired in 1986, since then she was able to enchant millions of fans with his show featuring celebrities, inspirational people, true story and many more. Because of her TV show, she influences many people around the world. At least 42 millions viewers in United States watch the show every week. Not to mention there are billion of people from 145 countries also watch The Oprah Winfrey Show. Many unique moments happen on this show, for example on September 2004 Oprah gave away cars for free to her audience or on May 2005, Tom Cruise jumped on couch to show his love for Katie Holmes.